The Fiftieth Day Feast, Hebrew Shavuot or Greek Pentekosté, for the Jews commemorated the descent of God’s Law to Moses on Mount Sinai, wreathed in fire, fifty days after the Exodus. 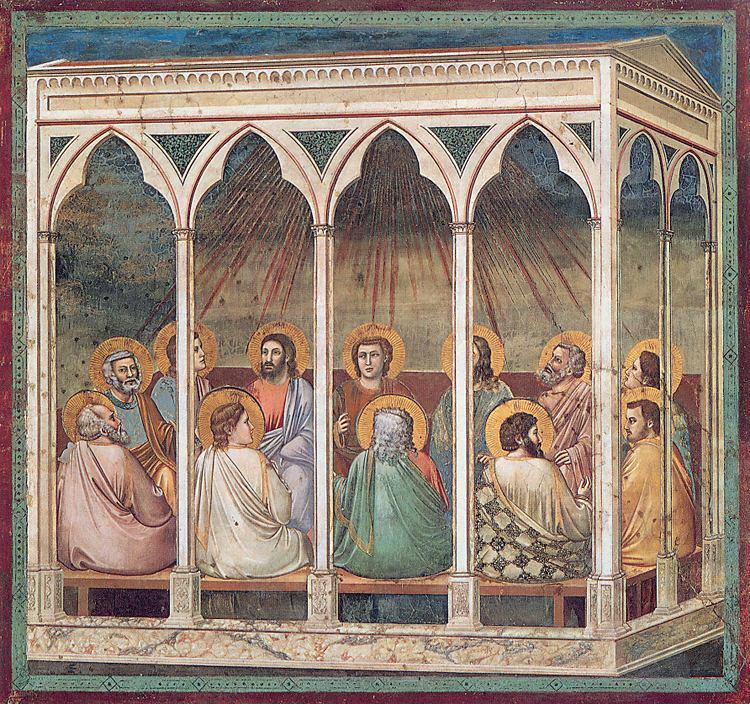 Fifty days after Our Lord’s Resurrection (the perfect number 7×7 + 1 for the day itself in ancient reckoning), the tenth from His Ascension, the Holy Spirit descended on the Apostles and first disciples to breathe grace-filled life into Christ’s Body, the Church. Pardon my homographs, but though they be on the fringe, they endanger necessary threads, precious souls of our brothers and sisters who through their work of unraveling can be lost in the fray. This entry was posted in ¡Hagan lío!, EASTER, Liturgy Science Theatre 3000, New Evangelization, Our Catholic Identity, WDTPRS and tagged exordium, fabric, Pentecost, selvage, weaving. Bookmark the permalink. Tomorrow morning, we should all offer a prayer of thanksgiving that the “OBSOLETE ICEL (1973” translation is now the Dead Duck Translation, and that no more people, especially the young, will ever have to endure translations that would merit a failing grade in a ninth-grade Latin class. It isn’t (unlike this one: http://www.kendallharmon.net/t19/index.php/t19/article/64842/) merely “rooted” in the Gelasian sacramentary. Allowing for slight variants among the four or five 8th-century sacramentaries in which it occurs, it is identical to it (except that “perfunde” is substituted for “diffunde” (though whether that is one of the 8th-century variants, I don’t recall)). See http://liberlocorumcommunium.blogspot.com/2016/05/an-ancient-collect-for-pentecost.html. That final “perfunde” is present in none of the manuscripts (of any period) listed at Corpus orationum no. 2057, but rather “defunde”, “diffunde” (and in that same position in a few later manuscripts, “diffundat”, “percipiant”).